The TDS provisions are applicable under section 194H in case it is held that the nature of the transaction entered into between the assessee and the distributor is that of commission but in case if it is decided that the nature of transaction is not commission but discount given on sales it cannot be regarded to be commission which is hit by the provisions of section 194H of the Income Tax Act. We, therefore, in the interest of justice and fair play to both the parties set aside this issue and restore it to the file of the assessing officer with the direction that the assessing officer shall redecide this issue afresh in accordance with law after going though the agreement which the assessee has entered into with the distributor as well as the sample subscription application form, whether the amount represents the expenditure incurred by the assessee towards commission or whether the said amount represents cash discount given by the assessee to the distributor for sale of talk time card. We may mention that in this regard the assessing officer while determining the true nature of the transaction whether it is a commission or discount should not be influenced by the nomenclature given by the assessee in the said agreement. We, accordingly set aside the order of the Commissioner (Appeals) and restore this issue to the file of the assessing officer. We noted that the assessee has not earned any exempt dividend income during the impugned assessment year. Since the assessee has not earned any exempt income no disallowance under section 14A of the Income Tax Act can be made in view of the decision in the case of Pr. CIT v. Ballarpur Industries Ltd. ITA No. 51 of 2016, dt. 13-10-2016 in which the Hon’ble Jurisdictional High Court, following the decision of the Hon’ble Delhi High Court in the case of Cheminvest Ltd. v. CIT 378 ITR 33 (Del) took the view that provisions of section 14A of the Income Tax Act, 1961 would not apply to the facts of the case as no exempt income was received or receivable during the relevant previous year by the assessee. Similar view has been taken by the Hon’ble Allahabad High Court in the case of CIT v. Shivam Motors (P) Ltd. 272 CTR 277 and that of Hon’ble Punjab & Haryana High Court in the case of CIT v. Winsome Textile Industries Ltd. 319 ITR 204. The assessee has deducted TDS and deposited the same with the Central Govt. account as prescribed under the Act. The allegation of the assessing officer is that the assessee failed to deduct TDS under appropriate provisions of the Act. Therefore, we are of the view that the provisions of sec. 40(a)(ia) of the Act is applicable, in case there is a failure on the part of the assessee to deduct TDS and remit the same to the government account. There is nothing in the said section to treat inter alia that the assessee is defaulter where there is shortfall in deduction of TDS. If there is any shortfall due to any difference of opinion as to the taxability of any item or the nature of payments falling under the various TDS provisions, the assessee can be declared to be an assessee in default under sec. 201 of the Act and no disallowance can be made by invoking the provisions of sec. 40(a)(ia) of the Act. Out of these four appeals two appeals are filed by the assessee while the other two appeals are filed by the Revenue for against the orders of the Commissioner (Appeals)–4, Mumbai dated 13-2-2017 and 6-2-2017 for assessment years 2011-12 and 2012-13 respectively. (i) The learned Commissioner (Appeals) erred in facts and law in upholding the disallowance of Rs. 33,86,68,406 under section 40(a)(ia) of the Act for non-deduction of tax. The reasons given by him for doing so are wrong, contrary to the facts of the case and against the provision of law. (ii) The learned Commissioner (Appeals) ought to have appreciated that Rs. 33,86,68,406 is discount allowed in the invoice to the distributor or dealer for early payment and hence not liable to TDS. In assessment year 2012-13 the figure of Rs. 33,86,68,406 be read as Rs. 50,52,75,132. “(1) Whether on facts and in circumstances of the case and in law, the learned Commissioner (Appeals) was justified in directing to delete the disallowance of interest as well as expenditure under section 14A read with rule 8D, without appreciating that once the assessing officer rejects the claim of the assessee of not incurring any expense for earning tax-free income, he is about to follow provisions of section 14A read with rule 8D for determining expenditure which was presumed to be incurred for earning tax-free income. (2) Whether on the facts and circumstances of the case and as per law, whether the learned Commissioner (Appeals) was justified in directing to delete the disallowance under section 40(a)(ia) read with section 194J in respect of ‘expenses on customer support services’ of Rs. 41,41,92,94, and failing to appreciate that the payments made for use/right to use of ‘process’ are ‘royalty’ as per Explanation 6 to section 9(1)(vi) and therefore covered under section 194J of the Income Tax Act, 1961? (3) Whether on the facts, in the circumstances of the case and as per law, the learned Commissioner (Appeals) has erred in directing to delete the disallowance under section 40(a)(ia) read with section 194J of ‘Carriage Fees/Channel Placement Fees’, whereas the jurisdictional ITAT, Mumbai ‘L’ Bench, in its order dated 28-3-2014 in the case of ADIT-(IT)-2(2), Mumbai v. Viacom 18 Media (P) Ltd. has confirmed that the payments made for use/right to use of ‘process’ are ‘royalty’ in terms of the Income Tax Act, 1961. (4) Whether on the facts and circumstances of the case and as per law, whether the learned Commissioner (Appeals) was justified in directing to delete the disallowance under section 40(a)(ia) read with section 194J in respect of ‘CAS, Middleware and SMS charges’ and failing to appreciate that the payments made for use/right to use of ‘process’ are ‘royalty’ as per Explanation 6 to section 9(1)(vi) hence such payments are covered under section 194J of the Income Tax Act, 1961. 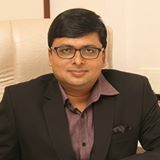 (5) Whether on the facts and circumstances of the case and as per law, whether the learned Commissioner (Appeals) was justified in directing to delete the disallowance under section 40(a)(ia) read with section 194J in respect of ‘CAS, Middleware and SMS charges’ whereas the jurisdictional ITAT, Mumbai ‘L’ Bench, in its order dated 28-3-2014 in the case of ADIT-(IT)-2(2), Mumbai v. Viacom 18 Media (P) Ltd. has confirmed that the payments made for use/right to use of ‘process’ are ‘royalty’ in terms of the Income Tax Act, 1961. 4. The only issue involved in assessee’s appeals relates to the sustenance of disallowance under section 40(a)(i) for non deduction of tax. 5. The brief facts of the case are that the assessing officer noted that the assessee has paid commission charges amounting to Rs. 33,86,68,406 under section 40(a)(ia) and the assessee has not deducted TDS under section 194H of the Income Tax Act. The assessing officer, therefore, after giving opportunity to the assessee disallowed the same under section 40(a)(ia). The assessee went in appeal before the Commissioner (Appeals). The assessee took the view that the assessee has given cash discount to the distributer and it was not in fact commission but it was in fact the discount given to the distributor and therefore provisions of section 194H was not applicable. The Commissioner (Appeals) rejected the plea of the assessee and sustained the disallowance amounting to Rs. 33,86,68,406 under section 40(a)(ia). Similarly the disallowance was sustained in assessment year 2012-13. Aggrieved, the assessee is in appeal before us. 6. We heard the rival submissions and gone through the orders of the tax authorities below. Before us the learned Authorised Representative filed additional evidence by making application by way of agreement between the assessee and one of the distributors along with copy of the subscription application and contended that on the basis of the decisions of the Hon’ble Delhi High Court in the case of CIT v. Text Hundred India (P) Ltd. 351 ITR 57 and Hon’ble Patna Tribunal in the case of Abhay Kumar Shroff v. ITO 63 ITD 144 (TM) additional evidence should be admitted if it is vital and essential for the purpose of consideration of the subject matter of the appeal. We noted that in this case the issue before us is whether the payment made by the assessee to the distributor is a commission or cash discount. For deciding the substantial issue, in our view, it is necessary to analyse the agreement which the assessee had with the distributor. To render the substance of justice looking into the terms and conditions of the agreement is necessary. Only then the true nature of the transaction between the assessee and the distributor can be decided, whether it is a case where the assessee has given discount or whether the assessee had paid commission to the distributor. We, therefore, to render the substance of justice admit the additional evidence. Before us, on the basis of the agreement as well as the sample subscriber application form, the learned Authorised Representative vehemently contended that as per Annexure-A of the said agreement the assessee has to give discount to the distributor although in the agreement the term has been used as commission. The learned Authorised Representative also pointed out on the basis of the bills that in fact the assessee has raised bills by showing this amount as discount out of the total value of the talk time cards. It is submitted by referring to page 129 of the paper book that this represent the discount given in the topup which entitles the person for talk time for a certain time. It was further contended that it is in fact a buying scheme under which the talk time cards are sold to the distributor at a discount and the distributor sells it to the retailers and the retailers sells it to the customers. 7. The learned Departmental Representative, on the other hand, vehemently contended that the assessee has not submitted the agreement between the distributor and the assessee as well as the sample subscription form neither before the assessing officer nor before the Commissioner (Appeals). Accepting the document at the level of the Tribunal will prejudice the Revenue. 8. We have gone through the copy of the agreement entered into by the assessee with the distributor available on pages 138 to 148 as well as the sample subscription application form available on pages 149 to 150 of the paper book. On the basis of the document and the issue involved we are of the view that examination of these documents as a whole along with the terms and conditions of the agreement entered into between the assessee and the distributor in respect of talk time card is essential to determine the true nature of the transaction whether the transaction entered into between the assessee and the distributor relates to discount or commission. The TDS provisions are applicable under section 194H in case it is held that the nature of the transaction entered into between the assessee and the distributor is that of commission but in case if it is decided that the nature of transaction is not commission but discount given on sales it cannot be regarded to be commission which is hit by the provisions of section 194H of the Income Tax Act. We, therefore, in the interest of justice and fair play to both the parties set aside this issue and restore it to the file of the assessing officer with the direction that the assessing officer shall redecide this issue afresh in accordance with law after going though the agreement which the assessee has entered into with the distributor as well as the sample subscription application form, whether the amount represents the expenditure incurred by the assessee towards commission or whether the said amount represents cash discount given by the assessee to the distributor for sale of talk time card. We may mention that in this regard the assessing officer while determining the true nature of the transaction whether it is a commission or discount should not be influenced by the nomenclature given by the assessee in the said agreement. We, accordingly set aside the order of the Commissioner (Appeals) and restore this issue to the file of the assessing officer. 9. In the result, both the appeals filed by the assessee are statistically allowed. 10. Now coming to the appeals filed by the Revenue, ground No. 1 taken by the Revenue in assessment year 2011-12 relates to the deletion of disallowance made by the assessing officer under section 14A read with rule 8D. 11. After hearing the rival submissions and going through the order of the tax authorities below we noted that the assessee has not earned any exempt dividend income during the impugned assessment year. Since the assessee has not earned any exempt income no disallowance under section 14A of the Income Tax Act can be made in view of the decision in the case of Pr. CIT v. Ballarpur Industries Ltd. ITA No. 51 of 2016, dt. 13-10-2016 in which the Hon’ble Jurisdictional High Court, following the decision of the Hon’ble Delhi High Court in the case of Cheminvest Ltd. v. CIT 378 ITR 33 (Del) took the view that provisions of section 14A of the Income Tax Act, 1961 would not apply to the facts of the case as no exempt income was received or receivable during the relevant previous year by the assessee. Similar view has been taken by the Hon’ble Allahabad High Court in the case of CIT v. Shivam Motors (P) Ltd. 272 CTR 277 and that of Hon’ble Punjab & Haryana High Court in the case of CIT v. Winsome Textile Industries Ltd. 319 ITR 204. 12. The learned Departmental Representative, even though vehemently relied on the orders of the authorities below but has not brought to our knowledge any contrary decision. We, therefore, dismiss ground No. 1 taken by the Revenue in assessment year 2011-12. 13. Ground Nos. 2 to 6 in assessment year 2011-12 and grounds A to E in assessment year 2012-13 in Revenue’s appeal relate to the deletion of disallowance under section 40(a)(ia) rw.s. 194J in respect of expenses on customer support services or disallowance under section 40(a)(ia) read with section 194J in respect of CAS, Middleware and SMS charges. 14. The brief facts relating to this issue are that the assessing officer noted that the assessee has deducted TDS in respect of expenditure on customer support services under section 194C by applying a rate of 2% whereas it should have been deducted tax under section 194J @10%. The assessing officer was of the view that these expenses are incurred mainly for the purpose of solving customer grievances and technical issues raised by such customers. These services are incurred for availing BPO services. Therefore, the nature of service availed by the assessee is technical and TDS would have been deducted in accordance with section 194J instead of section 194C The assessing officer, therefore, disallowed a sum of Rs. 41,41,92,984 under section 40(a)(ia). Assessee went in appeal before the Commissioner (Appeals). The Commissioner (Appeals) took the view that it is not a case of non deduction of TDS but at most it can be a case of less deduction of TDS and, therefore, he deleted the disallowance made under section 40(a)(ia). Similarly, the assessing officer has noted that the assessee has paid a sum of Rs. 36,61,17,648 towards CAS, Middleware and SMS charges to Integrated Subscriber Management Services Ltd. and on which the assessee has deducted TDS under section 194C. The assessing officer was of the view that the said expenditure has to be incurred under the provisions of section 194J. Therefore, he disallowed a sum of Rs. 36,61,17,648. When the matter went before the Commissioner (Appeals), the Commissioner (Appeals) deleted the disallowance in this case also on the basis that this is not a case of no deduction of tax at source but it is a case of less deduction of tax at source. “10. The Departmental Representative relied upon the Hon’ble Kerala High Court judgment in the case of M/s. P.V.S. Memorial Hospital Ltd. (supra) and argued that the provisions of section 40(a)(ia) is applicable even for short deduction of TDS. The Hon’ble Kerala High Court has upheld the disallowance of expenditure under sec. 40(a)(ia) of the Act, for short deduction of TDS. With due respect to the Hon’ble Kerala High Court, we prefer to follow the judgment referred by the Authorized Representative of the assessee in the case of S.K. Tekriwal (supra), for the reason that when there are two reasonable constructions are possible on similar issue i.e., one in favour of the assessee and another in favour of the Revenue, the decision in favour of the assessee should be followed as held by the Hon’ble Supreme Court in the case of CIT v. Vegetable Products Ltd. (1973) 88 ITR 192. 16. No contrary decision of this Tribunal or of the Hon’ble Jurisdictional High Court or Hon’ble Supreme Court was placed before us. We, therefore, are bound to follow the decision of the Coordinate Bench. Therefore, we do not find any infirmity or illegality in the order of the Commissioner (Appeals) in holding that provisions of section 40(a)(ia) will not be applicable in the case of the assessee as there is nothing in the section to treat the assessee as defaulter where there is shortfall in deduction of TDS. We, therefore, affirm the Commissioner (Appeals) and dismiss the grounds taken by the Revenue in both the appeals. 17. In the result, both the appeals filed by the assessee are allowed for statistical purposes while both the appeals of the Revenue are dismissed.